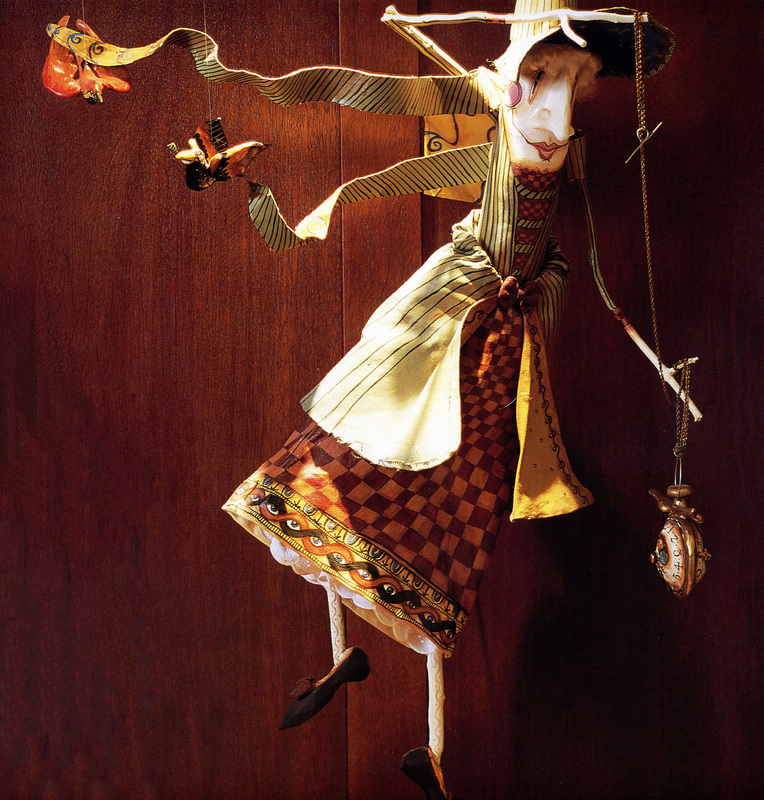 This is Mother Time, by folk artist Betsy Peterson. Mother time resides over the Hotel Pattee’s time capsule, and a quote by TS Elliott, beneath Mother Time, appropriately reads, “In my Beginning is My End.” Betsy herself has referred to her creations as Humpty Dumpties, but they are far more than characters from a nursery rhyme. Betsy fashions her creations using fabric and found wood, and relies on the creative spirit that God placed in her to translate her creativity to her folk beings.